What does a probate attorney do? Probate attorneys can help draft a will for a client. A probate attorney might also file the last will and testament of a deceased person. A probate attorney also represents clients during litigation when the validity of a will is contested in probate or surrogate court. Probate or trust litigation can also involve will or trust construction suits. 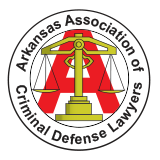 Hiring the right probate attorney in Arkansas can help you make the right estate planning decisions while taking into considerations important state and federal tax consequences.